At Visioncare Optometry – We believe in using the latest technology to ensure we , as Opticians, can provide you with the best Eye Care possible. We have invested in the latest 3D OCT camera which allows not only the standard image that is seen in the Hospital Diabetic Eye Service but also has a facility to scan the retina to examine each layer of the retina. 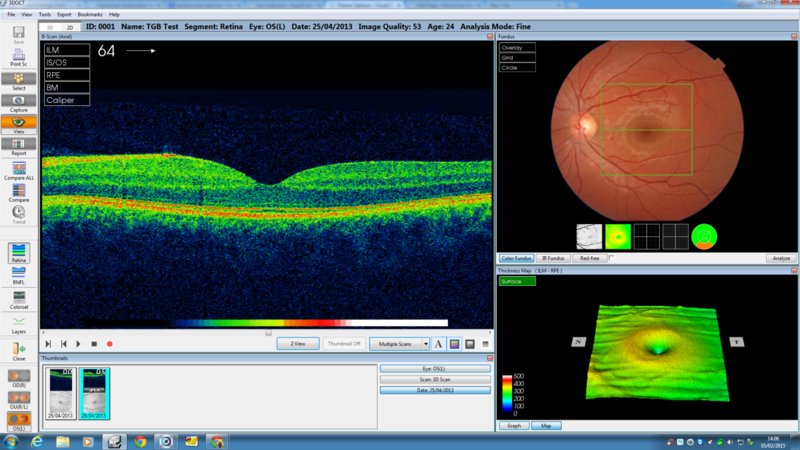 Here you can see the image of a healthy retina taken with the OCT camera. 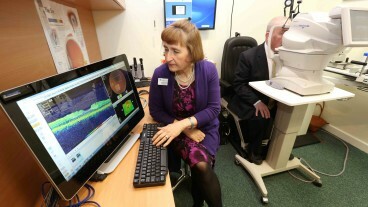 Each of the layer of the retina can be examined closely by our trained Optometrists. Here we can see the 3D Optical Coherence Tomography in action.